Fast food has conquered the globe, offering convenience and easy access to some much needed calories. Although there are countless variations offered, few foods can compare to pizza. It is the most popular fast food snack, next to hamburgers. On September 5th, 2015, the nation will celebrate Cheese Pizza Day, which is one of the most anticipated occasions of the year. Many have claimed to have invented this marvelous treat, and there is merit to almost every statement. Ancient cultures such as the Romans, Babylonians, Egyptians, and Israelite’s used to eat flat, unrisen bread. It was a dietary staple, and it included several toppings such as local spices, olive oil, and seasonings. The current version of pizza was allegedly invented by Raffaele Esposito, a proud citizen of Naples, Italy. In 1889, his invention rose to great popularity, given that pizzas were ordered for the visit of Queen Margherita and King Umberto of Italy. The resulting royal seal of approval further solidified the reputation of this cheese topped food. The first pizza shop opened in 1830, and it is still going strong. Americans and Western European soldiers got their first taste, while liberating occupied Italian territory. However, the modern resurgence of this treat is due to Italian immigrants in the United States. From small, mom and pop shops, to massive international chains, there is no doubt that pizza has spearheaded the fast food craze. It’s true that the simplest things in life are often the most pleasurable. Pizza is nothing more than an open pie made from yeast dough, which includes various toppings. In terms of automated production, every single company has its own secrets, and it would be near impossible to list every masterful secret. Home-made pizza is very delicious, and it is rather easy to bake. It requires a small cup of water, a teaspoon of yeast, flour, tomato sauce, and the rest is optional. Of course, a delicious cheese pizza will require plenty of cheese. As long as you have a basic pizza base, it can hold a limitless variety of toppings. Cheese, fish, pineapple, veggies, pork, beef, or any other conceivable ingredient can be added. Small pizzerias are the unsung heroes of a multi-billion dollar industry. The flavor and passion of the Italian countryside was exported across the globe, one small venue at a time. Nothing can really compare to flavor of a pie that is made by hard-working local chef. However, fast food often requires mass production. 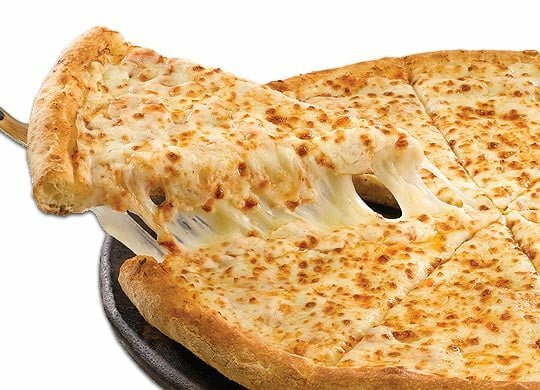 On National Cheese Pizza Day, the demands of hungry consumers will be met by massive chains such as Domino’s, Pizza Hut, Papa John’s, Little Caesars, Mazzio’s and so on. Overall, pizza is an affordable, delicious open pie that never fails to meet the needs of consumers worldwide. It is basically a blank slate, given that it has countless variations are seasonings. On cheese pizza day we pay homage to one of the best varieties, as we reach for yet another slice.